We normally don't get into the business side of the tech industry, but thought this was kind of interesting. A company called Lytica offers a component cost estimator can help any business--from startups to major corporations--get both the average and best-in-class prices of components (like capacitors or connector), learn their potential price savings, get alternate source recommendations, and more. 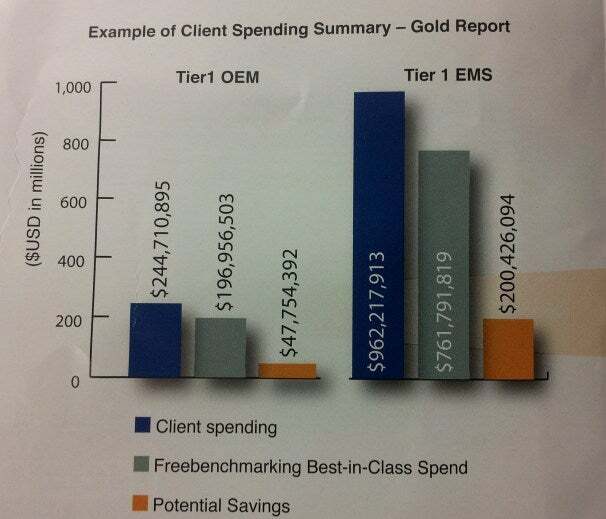 Lytica offers a couple services, such as the "Gold Report", which provides the best-in-class and average pricing of components, a "regional competitive analysis," price factor information and negotiating leverage, and more. 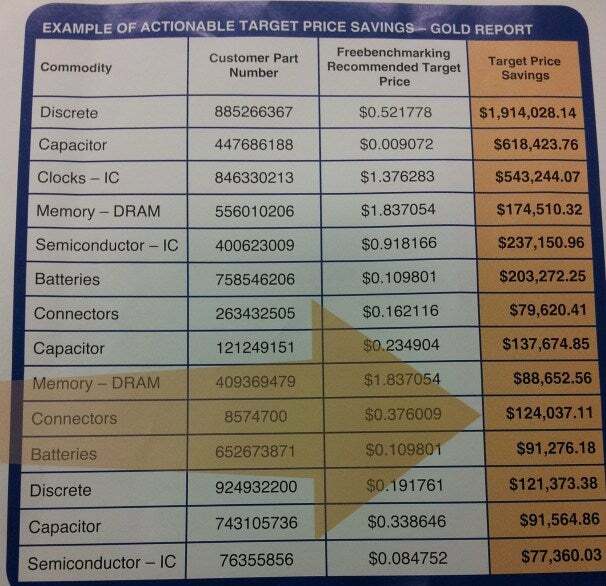 A single Gold Report costs $5,000 but you can use it for every single component for whatever electronic device is that your company is making. Alternately, you can use the single report to get information on all of the device components for multiple devices that your company makes and it will still cost only $5,000. While $5,000 may sound like a lot for a typical person, it's relatively little in the grand tech industry scheme of things, and if it can save even the smallest startup thousands or millions of dollars, it may be worth it. Lytica's personnel at CES showed me their new price estimating tool (which they plan to release in the first quarter of 2012) called the "Component Cost Estimator." The new cost estimator is entirely web-based and will allow you to search for individual components for a one-time fee. The Component Cost Estimator may be cheaper and easier for companies that need to look up only a few components--like just-out-of-the-garage startups, for instance, or larger companies needing a quick average and best-in-class lookup of a component.